Today’s blog is the second in a series of entries that will help those executives in the AEC community understand why they might be losing out to the competition when competing for great candidates and top talent. Having recruited civil engineering and architectural professionals for over 15 years I have witnessed some fantastic interviewing and hiring processes…and I have witnessed some miserable ones as well. Most processes fall in the middle of that spectrum, so by understanding what you may NOT be doing and making some subtle (or not so subtle, depending how poor your process really may be) changes may help you reel in a higher percentage of those good or great candidates that may have joined the competition in the building down the street or the floor below! Not maintaining momentum can KILL your chances of hiring that top prospect. The pace of the interview process in a moment of time is crucial. I’m not talking about having an offer sent to a candidate’s blackberry after the first interview before they even leave the building, but by keeping a steady pace of the process from initial inquiry to offer is so important. I cannot stress this enough. A. It keeps you focused on the candidate and your thoughts and memory of the interview fresh. B. It keeps the candidate excited and interested. C. It shows the candidate that you are indeed excited in the prospect of brining them on board. Extensive delays from interview-to-interview with the same candidate is often perceived by the candidate that the client is undecided or not real thrilled about them, and every day that fades to black without contact or scheduling of an interview or feedback takes a little bit more wind out the sails. D. Delays in follow-up interviews or reference checks allows for an opening for another firm to shimmy their way on to the candidate’s radar screen. If you are taking your good ‘ol time and the other firm understands the concept of momentum, they can make up considerable ground and by the time you finally lay out an offer on the table the other company will be doing the same; this of course decreases the likelihood of acceptance of your offer. E. It allows you to move on to other candidates that you were interested in more swiftly in the event of a turndown. Let’s say you put all your efforts into candidate A, but you were aware of candidate B as well but chose not to interview them until your learned the fate of candidate A. If you are dragging your feet and candidate A ends up turning down your offer, candidate B may already be off the market. Ideally, you should be interviewing multiple candidates at the same time if possible. The “all your eggs in one basket theory” is not a good idea here. So How Do You Keep Momentum Going When Everyone is So Busy? A. Have access to everyone’s calendar and plan the next meeting at the end of the previous meeting (assuming there is a fit). B. If you need a day to talk amongst the team that interviewed the candidate, that is okay. But don’t wait longer than 24 hours. If the feedback is positive and you want to move forward, then find 6 available options for the next meeting to present to the candidate (3 days/times during business hours, 3 evenings/times for after hours meeting). This will eliminate the constant back-and-forth that would normally occur suggesting one date and time at a time. C. For employment law reasons, companies are required to track applicants; have the candidate complete the employment application prior to the first interview. This way that part is done and over with. Sometimes these applications are a hassle, and candidates keep delaying this task, so taking care of this sooner than later is recommended. This also gives them a deadline to meet. D. Your day is likely filled with meetings, site visits, lunch meetings, etc…so task your in house Recruiter (if you have one), your Human Resources Professional, or your Administrative Assistant with following up with the candidate. Of course if you are using a search consultant, this would be part of their duty in servicing you as their client. E. The same resources mentioned above in “D” should immediately begin checking references as soon as the candidate has provided them. References can take some time, but if you have someone who is easily accessible to stop what they are doing to take / make that call and write up the appropriate report you will keep the momentum. F. I would be remiss if I didn’t mention this: consider hiring an executive search consultant who specializes in the professional skill set that you are looking to hire. 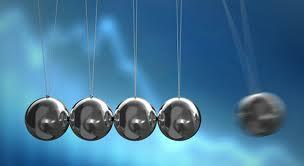 Recruiters are notorious for understanding and keeping the momentum and they will be able to handle all of the above. G. Should you and your team be excited about the candidate, and should their references check out, be immediately prepared to formulate an EXCITING offer letter, and be sure to include a decision deadline. How does your company keep momentum going with candidates? Or, as a candidate, what are your experiences you have had where a company was pursuing you and they did a great job with keeping momentum? Or, also as a candidate, did an organization lose out on you because they failed to keep the momentum going? Please share your stories!